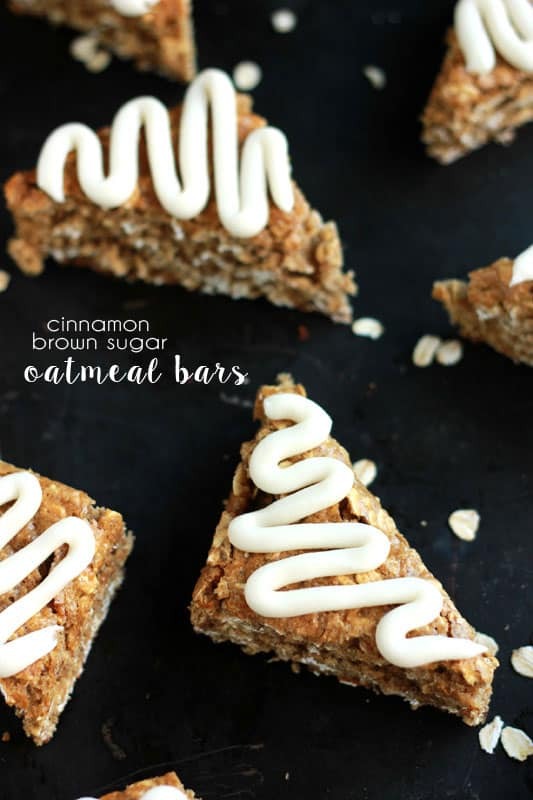 These Cinnamon Brown Sugar Oatmeal Bars are the perfect grab-and-go breakfast! 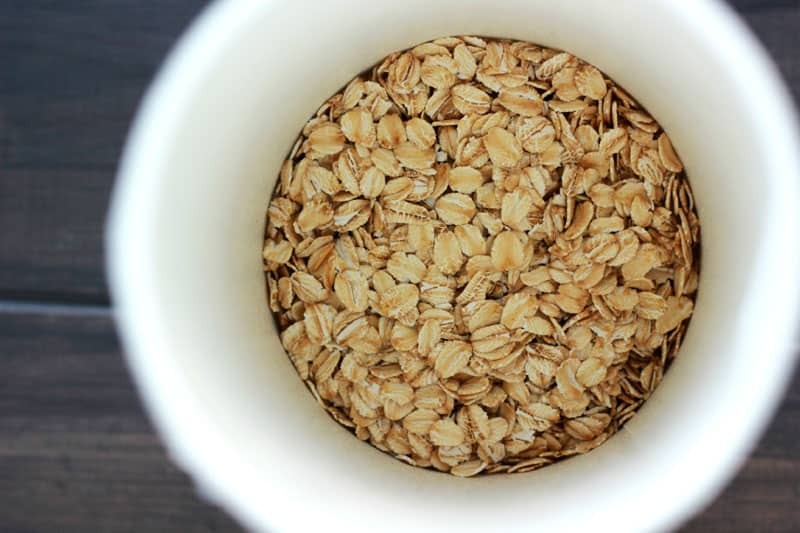 Oatmeal… It’s a classic go-to breakfast for almost everyone. My six year old has a passionate love for the cinnamon brown sugar variety and I must admit… So do I. It’s delicious and the individual serving packs are perfect for a quick morning meal. When I found out that Quaker had soft and chewy breakfast bars I was over the moon with excitement! They slowly became an important part of our weekly meal plans and my son looked forward to the days where I packed one in his lunch. You can imagine my disappointment when our stores slowly stopped carrying our newly found favorite treat. 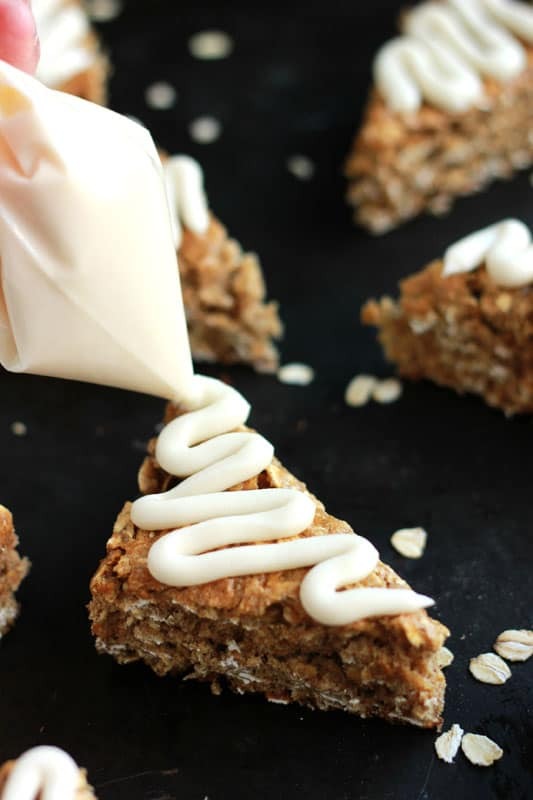 I was determined to recreate those chewy bites of goodness with a homemade version (because lets face it… homemade is always better) but ran into a snag when I couldn’t find a base recipe ANYWHERE. 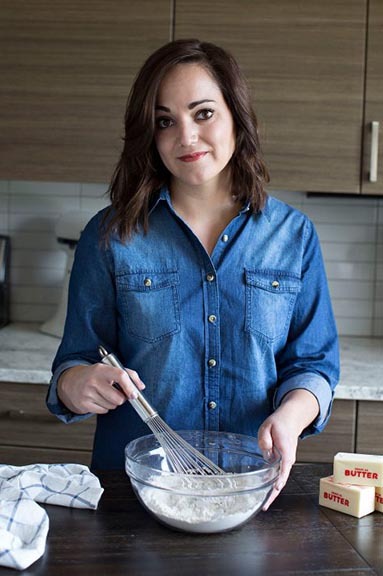 I had several failed attempts at starting from scratch on my own and then I found this recipe over on Chelsea’s Messy Apron. We made it as stated and it was AMAZING but my little guy wasn’t sold. A few quick tweaks and these bars are what we ended up with! I didn’t stray too far from the original version since they were still pretty amazing. I simply reduced the flour and sugar, increased the cinnamon, and swapped the soy milk for regular. I also topped mine with a quick vanilla frosting which isn’t necessary but took my sons rating from 3 to 5 stars. He may have a bit of a sugar obsession. We love this version as much, if not more, than the original Quaker variety. My son looks forward to the days I sneak one of these into his packed lunch along with a yogurt and fruit. He feels like it’s a dessert and I don’t feel too bad because they aren’t the most unhealthy thing I’ve sent. If you cut these into triangles or squares you can individually wrap and freeze them for long term storage. Pull them out for a quick grab-and-go breakfast or lunch. Preheat your oven to 350 degrees. Line a 9x13 pan with foil, lightly mist with cooking spray, and set aside. In a large bowl stir together your oats, oat flour, all-purpose flour, baking soda, baking powder, salt, cinnamon, and brown sugar. Stir until combined. Fold in the vanilla, milk, and eggs. Spread into your prepared pan and bake for 20 minutes or until slightly browned. You can find the vanilla frosting recipe here.